Today’s post is a simple recipe “Ghee”. 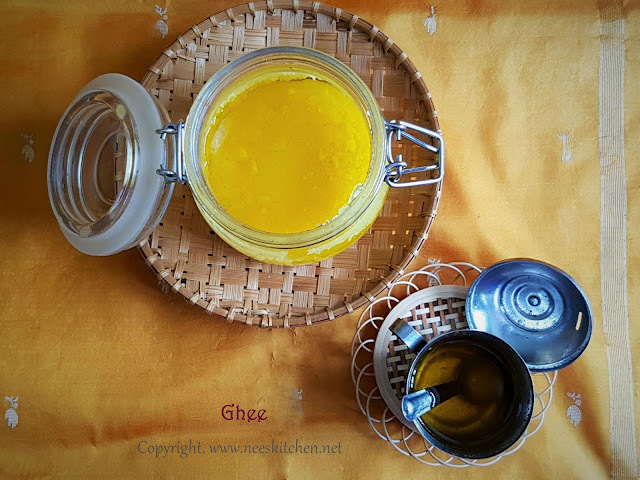 I am using Ghee for some of my recipes hence I thought I should document it for the benefit of all. Ghee is a process of melting butter and removing the milk solids or residue. 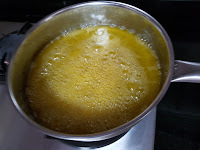 Ghee is widely used in Indian cooking. 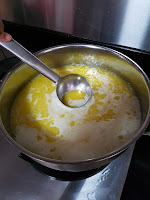 There are some slight differences in making ghee. 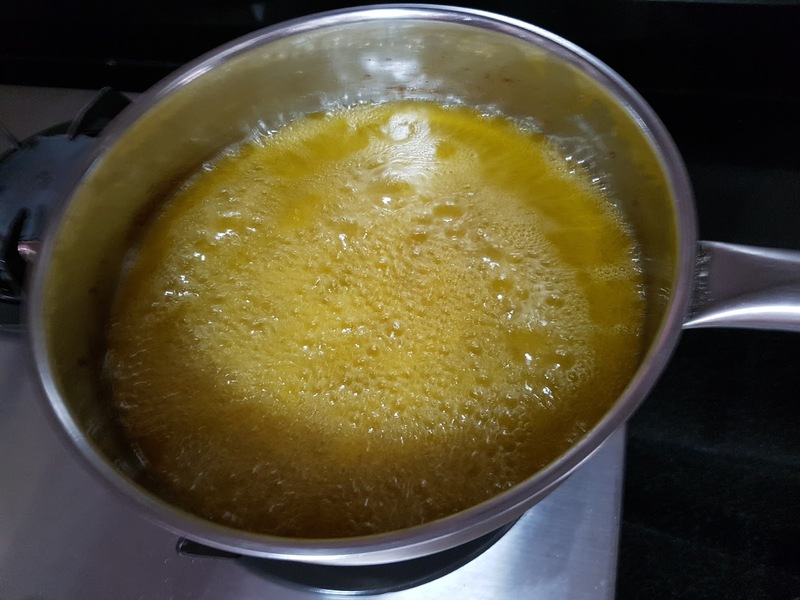 Some prefer to add curry leaves, drumstick leaves while some of them do not add any leaves. My post is without adding any leaves. 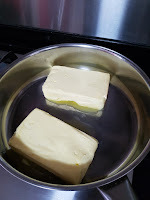 You must use unsalted butter for ghee. However if you had accidently bought salted butter, do not worry you can still use it but the amount of ghee generated will be very less as the major portion becomes the residue. 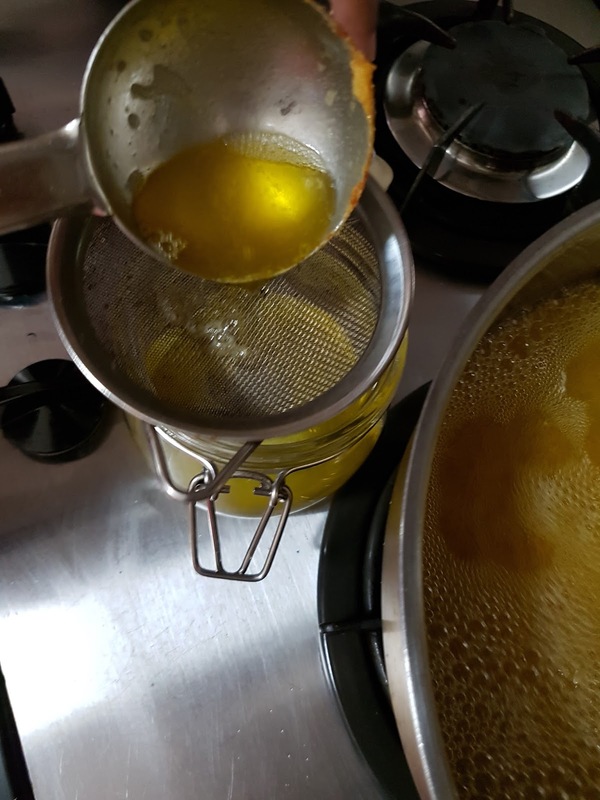 For filtering the ghee from its residue you may use the oil filter paper or coffee filter paper and place them on top of the filter. In this post I had only used the filter directly as I wanted to show the traditional way. 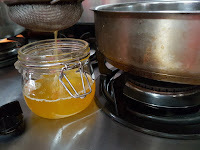 Once the ghee is transferred to a container do not close until it comes to room temperature. 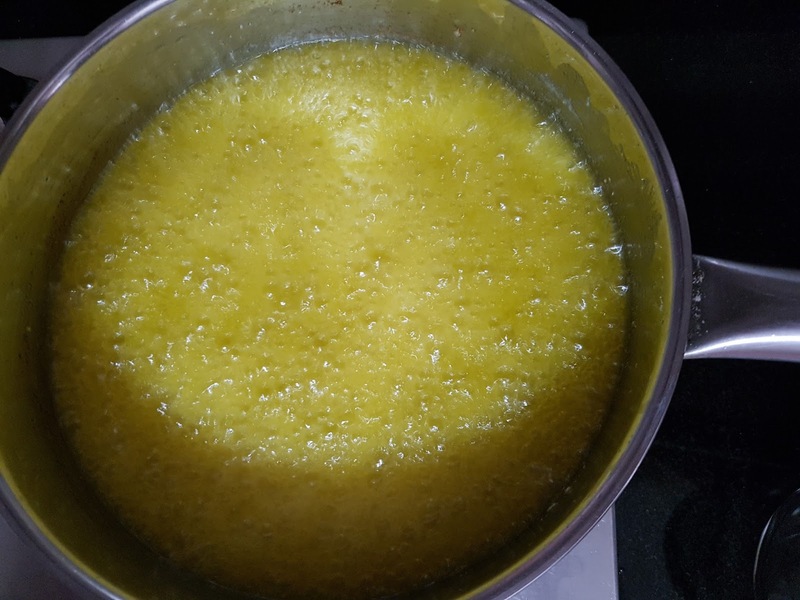 Do check out my recipe with the left over residue's coming soon. 1. 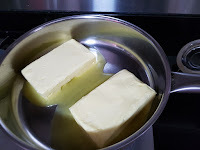 Take out the butter from the refrigerator and bring it to room temperature for around 45 mins. 2. Take a heavy bottom vessel, preferably a big kadai and ever silver. 3. 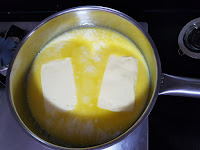 Heat the butter and keep stirring at regular intervals. 4. At one point of time the butter will melt and it would start to generate foams and sizzling sounds. Keep stirring at this stage . 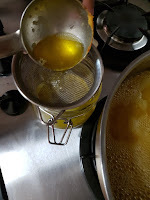 Some suggests adding curry leaves to stop overflowing, but I would not do, instead I would take a bigger vessel to make the ghee. 5. At one stage the ghee would be clear without foam and you can see the residue start forming. 6. 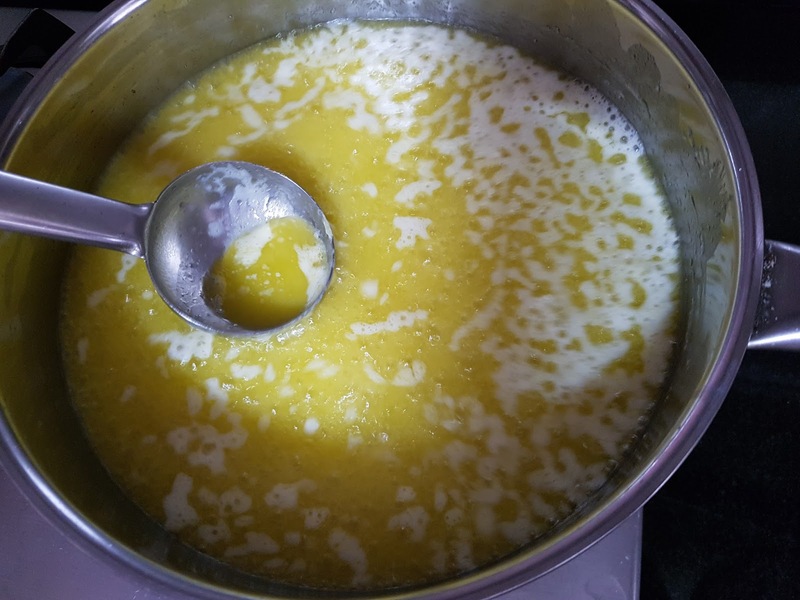 You may switch off at this stage and leave for a minute at the same heat so that all the residue or milk solids would settle down. 7. 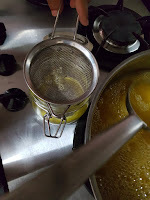 Take a filter and transfer the ghee to a container. 8. 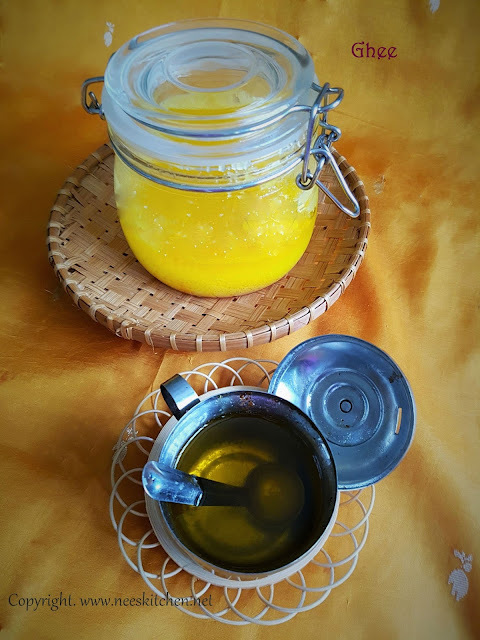 Close the container only after ghee comes to room temperature. è Do not use non-stick. Ever silver vessal gives better results. è The amount of residue/milk solids would vary for each variety of butter.